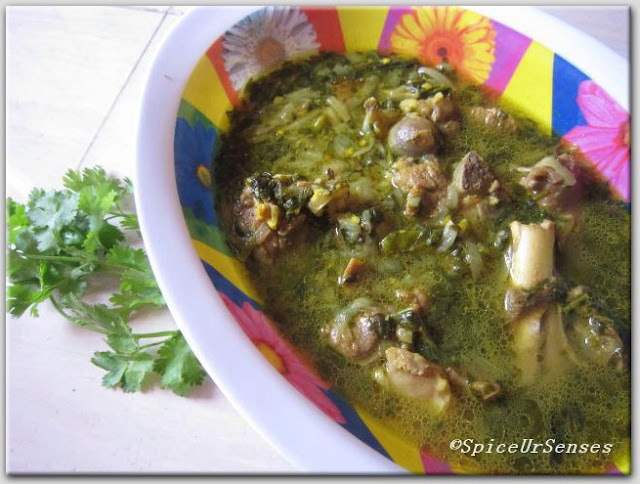 In a pressure cooker add oil and mustard seeds, when they splutter, add onion and green chillies fry it to golden brown then add ginger garlic paste, mutton and salt fry to atleast 5 minutes, then add turmeric, coriander leafs, mint leafs and 2 to 3cup of water, add salt if needed, close the pressure cooker and allow 3 whistle.. Serve hot hot as a soup or with plain white rice. This is such a great winter dish! Satisfying, delicious and nutritious! 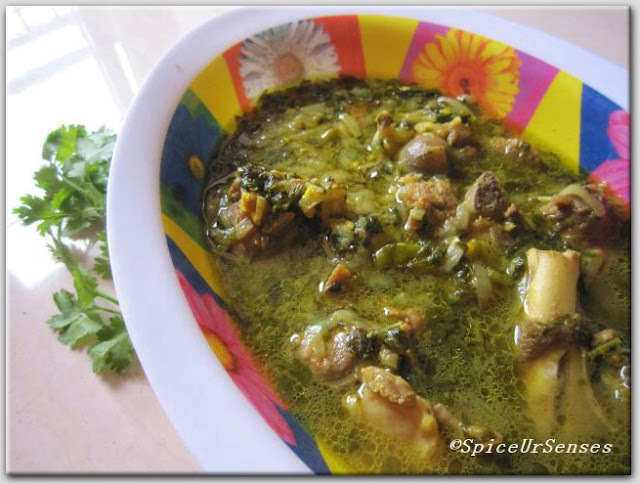 Very inviting and prefect stew for winter evening dinner..
Great stew, looks so yum! Nice stew good for cold winter. Great looking mutton stew..Nice recipe! Looks delicious! I have not had mutton in a while. This is one very tasty stew! I am very sure of that. 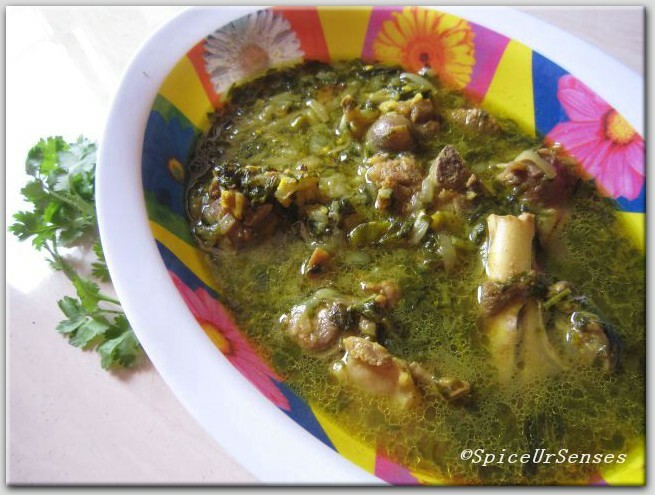 I have been using mutton bone for my dishes and it is really very delicious.